Institutional real estate owners are successfully managing their portfolios of single-family rentals, according to reports from top firms. Earlier in the recovery, institutional investors like the Blackstone Group bought single-family houses by the thousand, often out of foreclosure, and operated the properties as rental homes. At first, these investors benefitted from low property prices. Now home prices are higher, but these companies remain committed to the business of single-family rentals. “This is a business, not a trade,” says Jonathan Olsen, managing director and head of capital markets for Invitation Homes, an owner and investor in rental houses founded by the Blackstone Group. Many institutional owners are tightening their grip on the portfolios of homes they acquired earlier in the recovery. Larger property managers now provide services to their renters like automated rent payment systems. Technology helps managers care for rental houses that may be scattered throughout a metro area, especially property management technology that operates over mobile devices, according to HRHC members. 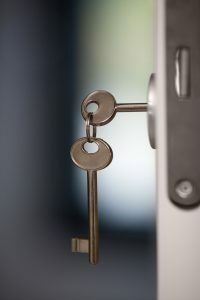 Some companies use technology to allow prospective renters to visit properties, using features like automated door locks to allow prospective tenants to enter after they have been properly vetted, says Caruso. Of the 15 million single-family houses occupied by renters, just 250,000 are owned and managed by larger institutions. Most rental houses are still managed by much smaller companies, and often individuals owners. “There is an opportunity to professionalize that market and provide a quality housing option,” Caruso. Strong demand for housing has also helped the business of renting single-family houses. Only 4.3 percent single-family houses owned by investors were vacant in the first quarter 2016, on average, according to data firm RealtyTrac. That matches the experience of HRHC members, who say their occupancy rates are in the mid-90 percent range. “Rents are growing in line with individual markets,” according to NHRC members. Several managers report rent growth as high as 4.0 percent to 5.0 percent a year, with relatively little turnover. “Turnover is around 30 percent,” according to HRHC members. In conventional apartment communities, turnover as high as 50 percent is common. Single-family renters may stay longer because some have larger households and more furniture that makes moving more of an ordeal. Managers are eager to keep these long-term tenants in place. “We focus heavily on resident retention to limit costs associated with turnover,” according to NHRC members. The U.S. economy has also helped managers by consistently producing new jobs and leading to new household formation over the last few years of slow, relatively steady recovery. Demographics have also helped. “More people today are electing to rent single-family houses than in the past,” says Invitation Home’s Olsen. The Millennial generations, which has filled so many rental apartments, is now at an age when prior generations started families. “Millennials are getting to the prime age where they need more space,” says Caruso. “Single-family rental housing is a good fit for [the Millennials],” says Caruso.